Within the first three minutes of the exceptional documentary Intelligent Lives, the viewer is introduced to the film’s two most important themes. The first dismantles the narrow yet long accepted perceptions of measuring intelligence that have done more damage than good in gauging a person’s meaning or value to their community. 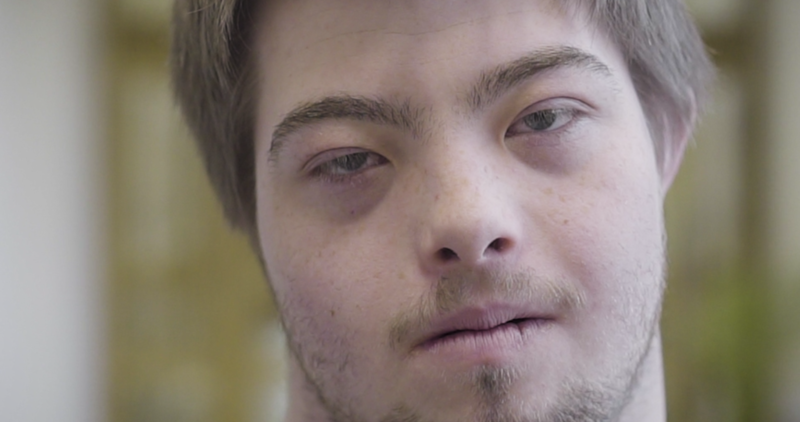 The second strikes down even more formidable barriers, as three stories of individuals with disabilities demonstrate that it is possible to be fully included in the experiences of high school, college and a career. Intelligent Lives, directed by Dan Habib, has been selected to receive the 8th Peek Award for Disability in Film by the Utah Film Center. The film will be screened in a free, public presentation April 1 at 7 p.m. in the Rose Wagner Center for Performing Arts. Habib will participate in a post-screening Q&A. Barry Morrow, the Academy Award winning screenwriter of Rain Man (1988) who created the honor in memory of Kim Peek, also will be present. Micah. Intelligent Lives, directed by Dan Habib. The film is brilliantly paced, as Habib weaves the history of how the IQ test became a standard but also contentious measure of intelligence with the stories of how two young men (17 and 32) and a woman, 25, benefit from and thrive upon effective practices, which once were deemed impossible to realize for youth with disabilities. Academy Award winning actor Chris Cooper narrates the film and the story of his late son Jesse, an award-winning high school honors student who had cerebral palsy and epilepsy, is incorporated in key moments that amplify Habib’s elegantly constructed epiphanies. The film is among the most effective passionate entries to be included in the Peek Award canon. Habib, who was a photojournalist for many years before becoming a filmmaker, made Including Samuel, his first documentary, more than a decade ago. The film focused on the Habib family’s efforts to ensure their son, Samuel, then of elementary school age who was diagnosed with cerebral palsy, is fully included in educational opportunities along with extra-curricular activities such as theater and sports. In 2017, he made a magnificent, moving short film Mr. Connolly Has ALS. The film featured the principal of his son’s high school in Concord, New Hampshire, as his disease progressed. However, even as some erroneously believed that losing the ability to talk and move had affected his intellectual abilities, Gene Connolly used his illness as an instructive moment about inclusion not merely as a philosophical idea but as a practice that deserves resources and earnest commitment. Intelligent Lives synthesizes the multifaceted experiences of Habib’s advocacy that has been cultivated over many years. Micah, in his thirties but who was previously measured with an IQ of 40, has been a student at Syracuse University. Gregarious and popular, he completes a certificate program and is co-teaching classes on campus. With his new girlfriend, he is encouraging her to become a self-advocate, as shown in a scene when Micah meets her parents. 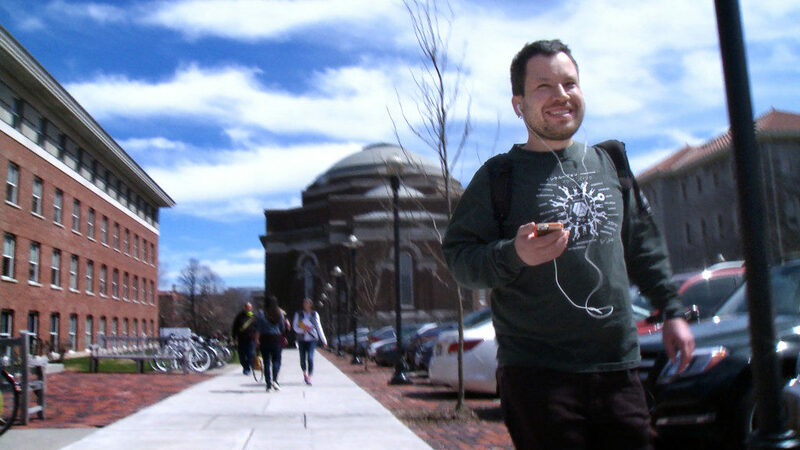 Like Syracuse, many universities around the country have joined the ThinkCollege network to make the collegiate experience more accessible to individuals with intellectual disabilities. This includes two programs at Utah State University: Aggies Elevated and PEER (Postsecondary Education, Employment and Research). Naieer, 17, is a student in Boston’s Dr. William W. Henderson Inclusion School, which shines in the film as an impressive example of what is possible in education. Without such resources, Naieer’s chances would be diminished severely. Quick statistics featured in the film indicate that barely one out of every six students such as Naieer are included in regular education and just 40 percent will graduate from high school. Naieer is a gifted artist, and his art teacher is so keenly attuned to the student’s potential for going to college and majoring in art. Naieer’s command of color is immediately noticeable and two of his paintings are featured in the film. He also has sold paintings, including all of the available work exhibited within 10 minutes after a screening of the film. In an interview with The Utah Review, Habib also says that prints from the originals, including his interpretation of Malcolm X, as shown in the film, are available for sale. In Providence, Rhode Island, Naomie’s story – a solid example of intersectionality – is just as exceptional. In her twenties with Down syndrome, she is making the transition from a sheltered workshop to gainful employment. Her family members are Haitian immigrants who rely on her brother, a hip hop artist and producer, as her legal guardian. Naomie is a beautiful gentle soul who is resilient about her dream job. She is seen in various job settings but she eventually is hired by the Empire Beauty School in Warwick, Rhode Island, at $12 per hour. Some of the most heart-warming scenes in the film portray a diverse salon of employees who are sincerely invested in her gaining the experience she wants. It is a remarkable counterpoint, given that barely 15 percent of individuals like Naomie get employment opportunities. At 70 minutes, the film is tight, cohesive and comprehensive. 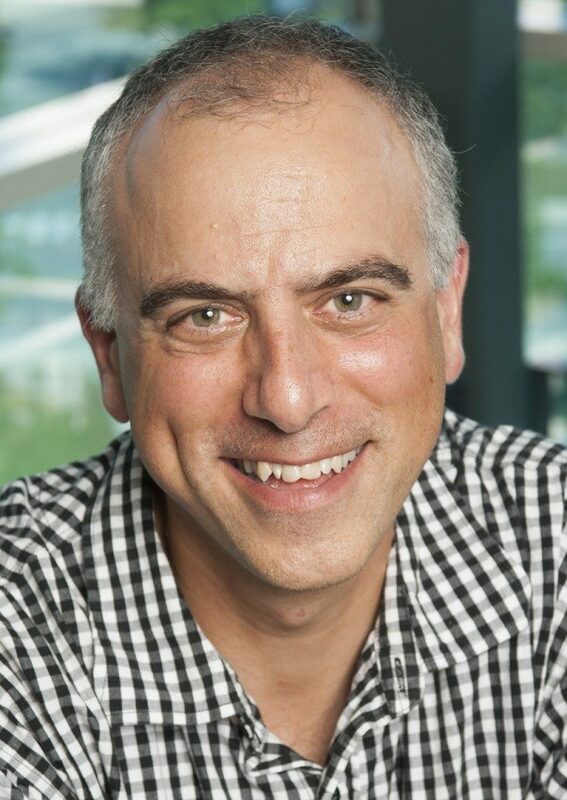 Habib credits his “co-conspirators” for the film’s superb editing: award-winning editor James Rutenbeck and story editor Jody Becker, who also worked with Habib on Mr. Connolly Has ALS. Habib recalls Cooper, who attended the film screening at a festival in Ashland, Oregon, turning to him in the middle of the program and telling him just how well paced the film is. Originally, Habib had intended to use Cooper primarily as a narrator but he eventually decided that the actor and his wife Marianne Leone with the story of their son should be integrated into the documentary. There is one exquisite elegiac bit of poetry near the end, featuring the words of the Coopers’ son. In selecting the stories, Habib, who is a filmmaker at the University of New Hampshire’s Institute on Disability, sought examples in the nearby New England area. He already was familiar with Micah’s story, when he met him through the President’s Committee for People with Intellectual Disabilities during the Obama Administration. 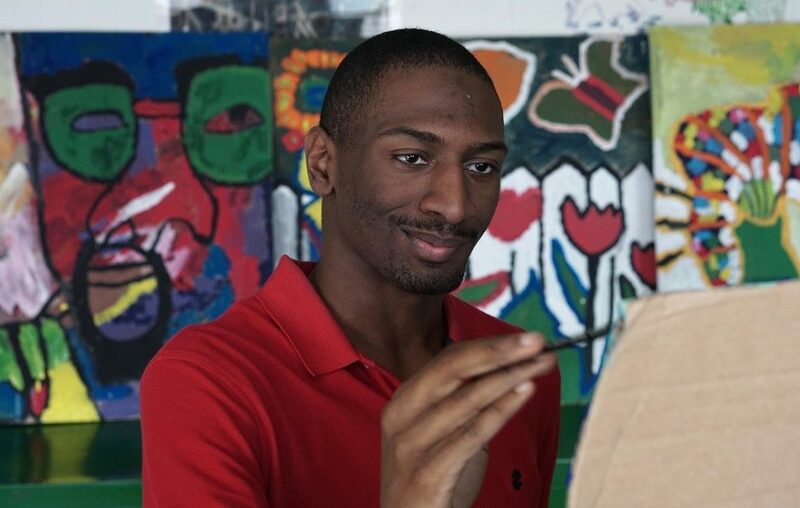 Likewise, he knew of the programs at the Henderson School and was attracted instantly to Naieer’s art work, which he called “fabulous.” Naomie’s story also became a platform to emphasize access and inclusion, especially for families where English might not be the first language of fluency and economic circumstances are constrained. The film also highlights the significant roles of family members, especially the siblings, along with the fully engaged networks that assist Micah and Naomie. Habib says that Steve, Naomie’s brother, and Emma, Micah’s sister, have joined him in a Maryland conference for siblings. A bonus is found in the songs of Matisyahu, a world-renowned reggae vocalist, beatboxer, and alternative rock musician, who donated the use of his music to the film. It’s an addition that fits naturally into the tones set up by the epiphanies of the documentary story. Habib says many screenings have brought memorable reactions, such as a recent event for an audience of teens in central New Hampshire, including half who had some form of intellectual disabilities. “I was blown away,” Habib recalls, adding that many were eloquent about how they often are underestimated about their intelligence. “One weaved in a quote by Nietzsche that I had not thought about before,” he adds. Psychologists also have responded, with many appreciating the film’s willingness to offer well-informed critiques of intelligence measures such as IQ, including the National Association of School Psychologists. A few others though remain defensive of IQ and related measures. “When something that has been established as a norm has become so problematic, one would think that instead of continuing to prop up the norm, it would be far different to find a better way,” Habib adds. The Intelligent Lives website is packed with excellent resources and background along with information about how to host a screening of the film. The documentary also is slated to air on national public television later this year. One of Habib’s forthcoming projects is a film with his son Samuel, who is now attending community college and making the transition into adulthood. They plan to include the stories of individuals from around the world who are pursuing education and employment as well as romantic relationships. The Peek Award honors the legacy of Kim Peek of Salt Lake City, the savant about whom the film Rain Man is based. Peek, who died in 2009 and was misdiagnosed as autistic during his formative years, stood out for his encyclopedic knowledge of subjects on an unprecedentedly broad scale of intellectual knowledge and pursuits. As noted in his 2009 obituary which appeared in The New York Times, Peek “was the Mount Everest of memory,” as Dr. Darold A. Treffert, an expert on savants who knew Mr. Peek for 20 years, described him. Morrow’s Oscar is on permanent loan to Salt Lake City. Previous Peek Award recipients includer Dr. Temple Grandin; Carrie Fisher; Sean Fine, Andrea Nix Fine and Sam Berns; Jason DaSilva; Matt Fuller and Carolina Groppa; Roger Ross Williams, and Antonio Santini and Dan Sickles. The Gerome Project. Utah Film Center. Utah Film Center’s education program will debut The Gerome Project, a local companion piece that will screen during the Peek Award presentation. The five-minute short features teen Gerome Bosteels-Tcaciuc, who has Down syndrome, at his home, in school and at Bruges Waffles and Frites, a local business established by the family’s Belgian relatives. While he has worked at the restaurant, his dream job would be to work as a baggage handler at the airport. He always has been fascinated by luggage and the family has built a luggage ramp for him to practice at home. Gerome also is well-liked by his peers, who appreciate his sense of humor. The short film amplifies local resources and efforts similar to those shown in Intelligent Lives. Suzi Montgomery, the center’s education director, says the filmmaking production involved students and teachers from the Garfield campus’ School Film Making Club at the Elizabeth Academy. 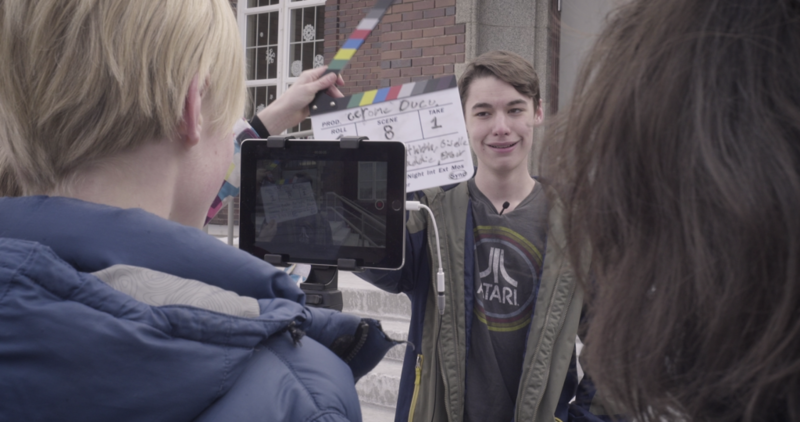 “The students went through a two-day filmmaking boot camp as an after-school elective,” she says. The students shot B-roll footage shown in the film. Gerome Bosteels-Tcaciuc. The Gerome Project, Utah Film Center. Students included Gabe Andrus, Madilyn Mulford, Kathryn O’Mara, Max Peterson, Giselle Rawlings, Ember Titensor, Zac Watson and Carter Johnston. Teachers Rachel Kucera, Laura Van Hook and Katharina Kirk joined the center’s professional crew, including Montgomery, Vanessa Williamsen and Jiovani Medina.